From the 28th to the 30th of November 2014 the HAZADR staff attended the local workshop of project Neptune. The a im of this workshop is the training of volunteers and local qualified staff on the clean up technique of the coast from pollution of oil spill. The workshop was organized by National Department of Civil Protection and Legambiente. The training course was held at the headquarters of the Civil Protection of Apulia Region with staff of Civil Protection of Apulia Region, National Department of Civil Protection and Legambiente and the following exercise was held along the Apulian coast at Polignano a Mare (Ba) – Località San Vito. 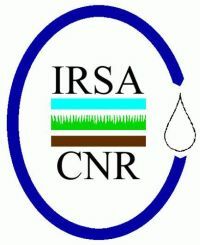 The main topics concern the regional system of civil protection , the project HAZADR, the Civil Protection and volunteer, the intervention at sea: subjects, skills, organization, emergencies at sea and environmental damage, the main pollutants and risk analysis, the impact of the pollutants on habitat, the intervention model on the coast, the organization of the team in the cleaning of the coast, the personal protective equipment, the differents types of cleaning on sandy or rocky beaches, the storage and disposal of the product collected. The last day there was a final exercise of the training course. The Faculty of Applied Ecology Futura, University Singidunum in Belgrade, organized on 1st of November 2014 presentation of projects, named "Environmental Sustainability". The aim of the presentation was to showcase the implemented projects, ongoing projects, project applications, project ideas in the area of environmental protection. The visitors and participants were addressed by the Dr Jordan Aleksic, professor at the Faculty of Applied Ecology Futura. The presentation of the projects was attended by representatives of state institutions, public institutes, faculties and non-governmental organizations. The Institute of Marine Biology was presented by two project funded by EU funds: HAZADR funded within the IPA Adriatic CBC Programme (IPA Adriatic), and TEN ECOPORT funded within the Transnational Cooperation Programme South East Europe (SEE Programme). The visitors of the event were introduced with the aims and achievements of the HAZADR project, during the power point presentation, presented by Dr Zoran Kljajic. A Cross-border and transnational cooperation projects’ fair in Podgorica, Montenegro, on the occasion of the European Cooperation Day was held on 19 September 2014, under the auspices of the Ministry of Foreign Affairs and European Integration of Montenegro. The European Day of cooperation is celebrated on 21 September, and in the weeks before and after, to celebrate the achievements realized during more than 20 years of territorial cooperation in Europe and the region, as well as the results of cooperation of cross-border regions. On this occasion, the countries of Europe are organizing various events such as film festivals, cross-border tours, bicycle races, fairs and other projects, showing the project results and highlighting the importance of territorial cooperation. The campaign is supported by the European Commission, the European Parliament and the Committee of the Regions. The goal of this year's fair projects in Podgorica was to present the results of projects that have been successfully implemented in Montenegro in the framework of cross-border, transnational and neighborly cooperation. The participants of the celebration were programme beneficiaries in Montenegro, representatives of local governments, state institutions, public institutes and non-governmental organizations. The Institute of Marine Biology is actively involved in cross-border, transnational and neighborly cooperation, through projects that are implemented with partners from Montenegro, neighboring countries and the countries of the European Union. The fair has presented several projects of the Institute of Marine Biology, funded by EU funds: HAZADR and NETCET within the IPA Adriatic CBC Programme (IPA Adriatic), TEN ECOPORT within the Transnational Cooperation Programme South East Europe (SEE Programme) and Project of the Sustainable Management of Marine Fishery, which Institute of Marine Biology is implemented in collaboration with the Ministry of Agriculture and Rural Development of Montenegro. The Fair of the projects were welcomed by the State Secretary for European integrations and Chief negotiator for EU accession, Ambassador Aleksandar Andrija Pejović and the Head of Operations Section at the Delegation of the European Union to Montenegro, Andre Lys. On the 28th of May 2014 Hazadr staff attended at annual conference 2014 of project IONIO – IONian Integrated Marine Observatory “Safer Transport in the Mediterranean Sea” in Lecce. The conference was inserted in the European Maritime Day, an initiative dedicated to the maritime safety programs and studies. the identification of needs and requirements for future services, listed in a visual document about navigation and safety in the Mediterranean Sea to subscribe. The ATLAS is an important facility (DSS) for the emergency corps, civil protection and coastguards to get prepared and minimize pollution in case of oil spill: it provides the simultaneous view in real time of several key-information related to the risk evolution in the Adriatic sea and the oil-spill dynamic when approaching the shorelines. Monitoring and response programs in high vulnerable sites consist in the improvement of the operational instruments to cope with the environmental and technological hazards and to the enhancement of the EWS in some very sensitive areas. The organization of common intervention exercises in North and South Adriatic needs to test the ATLAS, they are based on the simulation of hazards that menace the coasts. Kind of hazards considered: sea disasters simulations, ship collision with consequent burning and oil spillage. 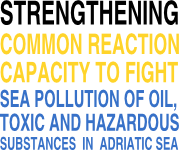 The Adriatic Training and Research centre in Rijeka (HR) has to implement training programs for combating sea pollution with oil, toxic and hazardous substances and to formulate recommendations to the Adriatic regions for a better integration of the contingency plans and for addressing interregional cooperation protocols for joint response mechanisms in case of hazards. After the interventions of the guests, working groups had collected suggestions and comments of all participants, especially about the future development of operational services for maritime safety.